Over half a decade ago, Young Justice was prematurely canceled after two seasons. However, DC Universe is bringing the fan-favorite show back in January with Young Justice: Outsiders. The third season appears to be making another time jump, and the landscape has once again shifted. Now, it appears that the Light and the Reach’s activities have resulted in an intergalactic arms race for Earth’s metahumans. A newly released trailer catches up with a few familiar faces, including Nightwing, Superboy, Kid Flash (Bart Allen), Tigress, Wonder Girl, and Blue Beetle. As the title implies, members of the Outsiders will also play a prominent role this season. Metamorpho and Katana are both prominently featured in the new footage. More intriguingly, the Markovian royal couple shown in the clips are the parents of Terra, a key character from the Teen Titans. 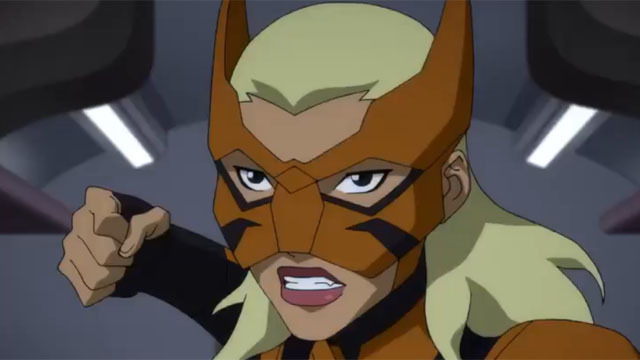 Young Justice hasn’t been shy about remixing DC’s mythology before, so Terra’s introduction could lead to a role on the Young Justice team as well. From there, the show could tease a new take on The Judas Contract story. Additionally, it appears that Barbara Gordon is now Oracle in this timeline. However, The Killing Joke is probably too heavy for this series to deal with. Perhaps Barbara simply outgrew the Batgirl role. Young Justice: Outsiders will premiere on January 4, 2019 on DC Universe. You can catch the trailer below, then let us know what you think in the comment section below!